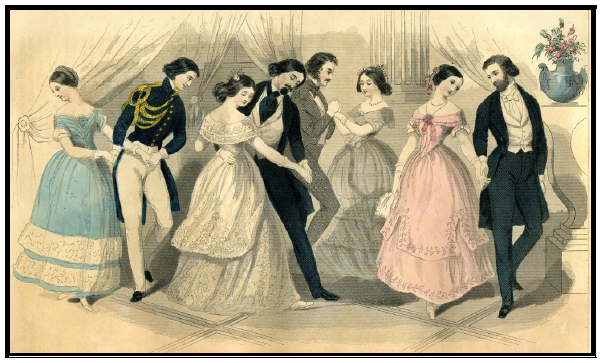 A ballroom dance of the 1870s. Gowns of lemon, frost, raspberry on every side. A horn sounds and the quadrille commences. But is that a tear in your eye?